Ya'll, I'm so excited about these! They are so yummy and good for you and they're VEGAN! 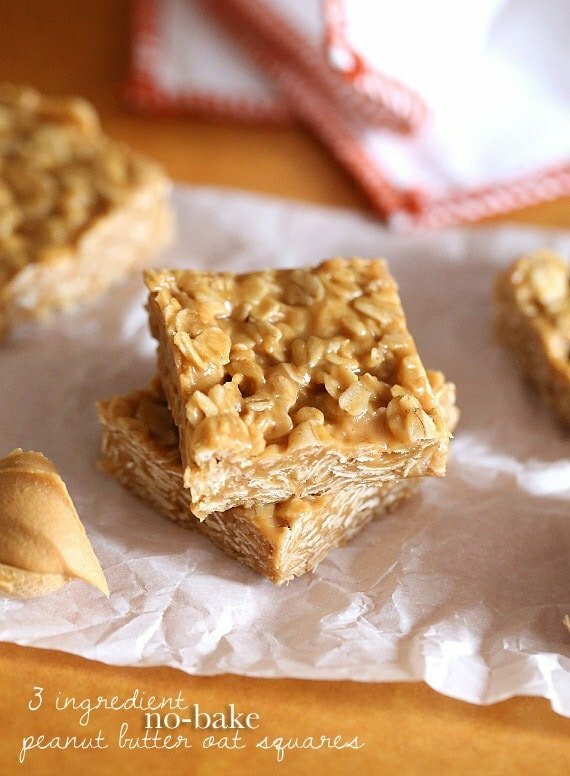 They have only 3 ingredients in them and are full of fiber and protein! Even my kids loved them- they're way better than granola bars! Line a 9x9 pan with foil. Spray lightly with non-stick spray. Press into prepared pan. Place in refrigerator until set. Cut into squares. If you want them to remain hard, leave them in the refrigerator and pull one out when you need a yummy snack!